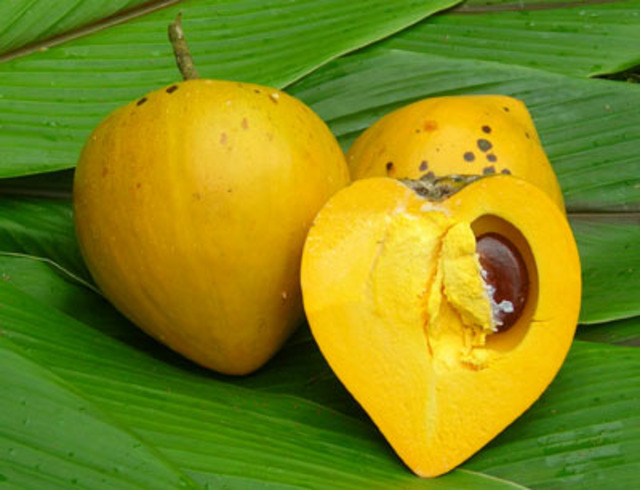 Canistel; A bright yellow ovoid fruit with a pointed tip. It is related to the sapodilla and is edible. The flesh tends to be dryer than other sapodillas and the texture is similar to that of a hardboiled egg yolk.